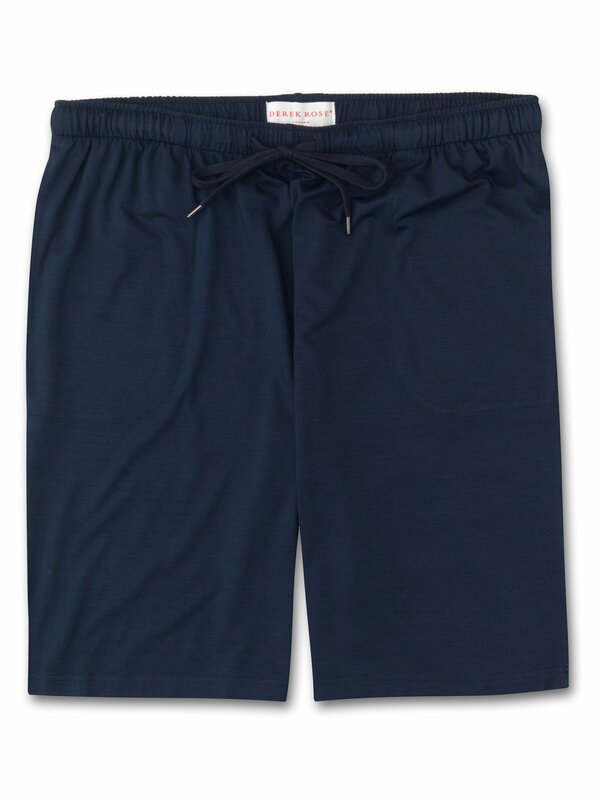 Our Basel Navy Shorts will be a welcome addition to any man's warm weather loungewear portfolio. Cut from our exceptionally soft signature Basel fabric (a luxury micromodal made from sustainably forested beech trees), this closet staple looks as good as it feels. Perfect for off-duty dressing at any time of day or night, it fastens with a drawstring waist for laid-back cool.